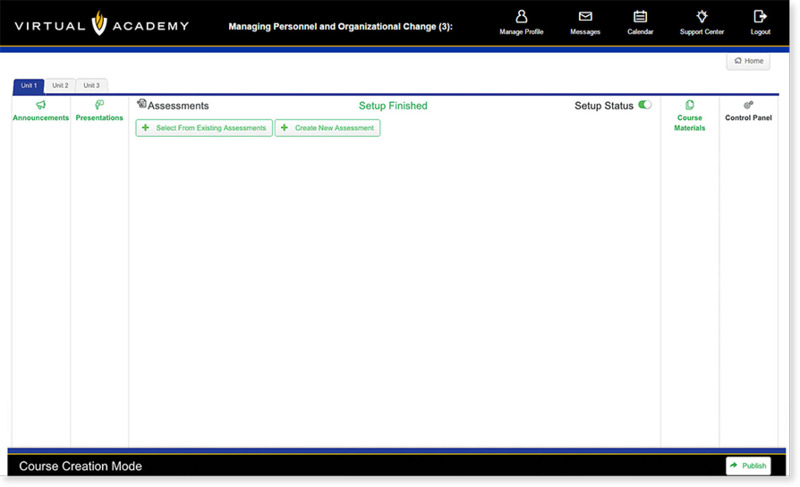 The Training Management System (TMS) course layout is designed to mirror the way an instructor-led course is conducted. The TMS supports the need for training originality without sacrificing the need for consistency and clarity. is for your training instructor to provide specific information for completing the course. is to attend, or view, the actual presentation. complete an assessment to earn your training certificate. 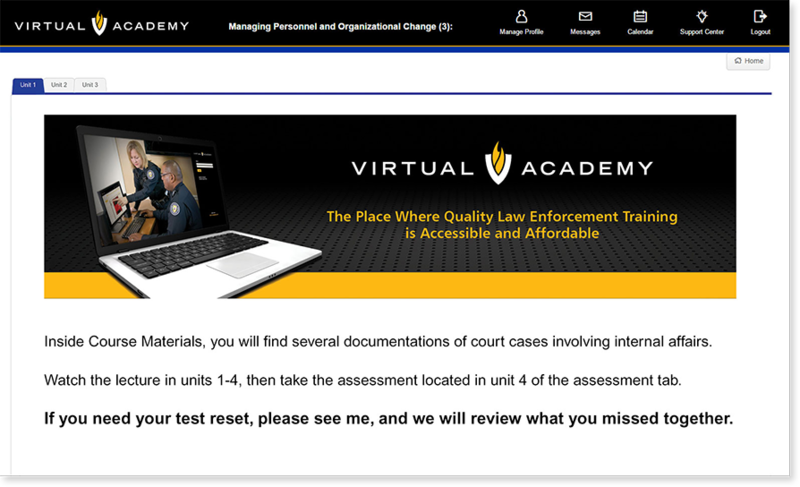 Virtual Academy is an intuitive and easy to use training management system. From communicating and verifying General Orders, to easily assigning courses for users … this system will allow you to efficiently manage your team’s training with a few easy clicks. Reduce liability by electronically tracking compliance of departmental policies and procedures. 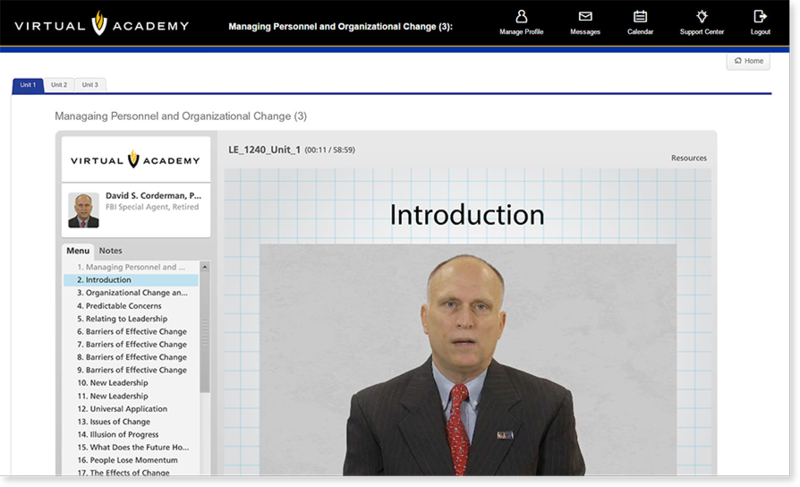 Easily assign a course to one officer, a group, or your entire department with a few clicks. The TMS automatically tracks all training progress. View real-time reports or digitally submit training records instantly.